Jeff Goldblum reprising his role as Dr. Ian Malcolm in Jurassic World 3? It could happen. 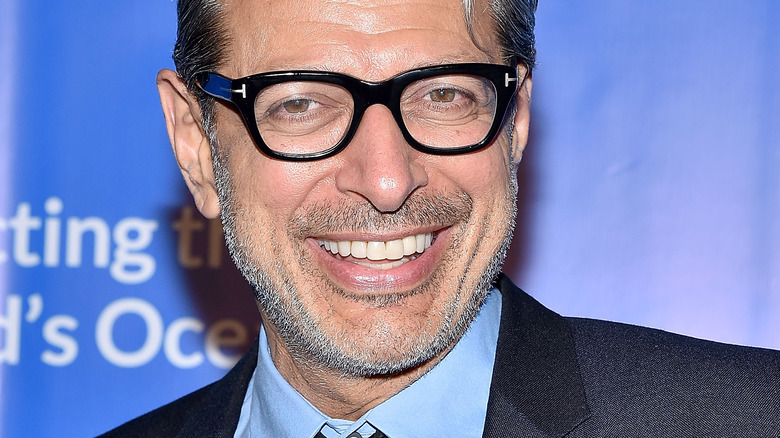 During his appearance on Watch What Happens Live on Monday night, Goldblum addressed various rumors swirling around the Jurassic World franchise, teasing that he just might make a cameo in the series' third installment. "I can't divulge anything, but maybe, maybe, maybe," Goldblum said after a fan asked whether he'd be involved in Jurassic World 3. He then touched on speculation that original Jurassic Park actress Laura Dern, who portrayed the witty paleobotanist Dr. Ellie Sattler, will also pop up in the threequel. Coy as can be, Goldblum said that "maybe she will." From there, Goldblum kept a tight lip on details about the final film in the Jurassic World trilogy, only further hinting that his involvement is highly likely given that he and Colin Trevorrow, who wrote and directed the first Jurassic World, collaborated on a recent Jurassic Park-themed Super Bowl Jeep commercial. "There's gonna be another [Jurassic World] that some people may or may not be in," said Goldblum. "That's all I can say." Fresh-to-the-franchise face Emily Carmichael (Pacific Rim Uprising) is attached to write Jurassic World 3 alongside Trevorrow, who created the film's story with his writing partner Derek Connolly (Kong: Skull Island). As with the upcoming sequel Jurassic World: Fallen Kingdom, the third flick will star Chris Pratt as raptor expert Owen Grady and Bryce Dallas Howard as former Jurassic World park-runner (and stiletto-lover) Claire Dearing. Plot specifics are non-existent as of right now, but Trevorrow previously teased that Fallen Kingdom will establish what's to come in Jurassic World 3. "At the end of [Fallen Kingdom], it's not a cliffhanger, but it's designed for people to want to know what's going to happen next, whereas the earlier Jurassic Park movies had pretty clear definitive endings. They were much more episodic," explained Trevorrow. "In working with Derek Connolly, my co-writer, we were also thinking about where [the franchise] was going to go in the future." Jurassic World 3 is lined up for release on June 21, 2021. We'll get to see more dino-filled fun and Goldblum's suave Dr. Ian Malcom much sooner than 2021, however, as Jurassic World: Fallen Kingdom will hit theaters on June 22.